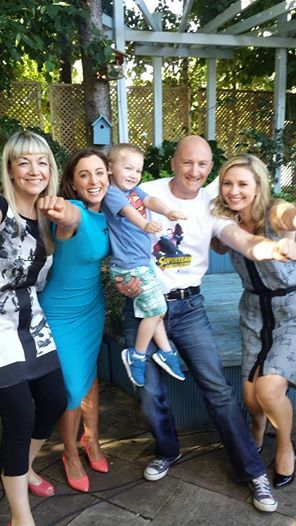 Super Gavin stars on Ireland A.M.
Brave Toddler Gavin Glynn was the star of TV3’s Ireland A.M. this morning. He appeared on the show with his parents, who are trying to raise money for life-saving treatment through a ‘selfie’ campaign. 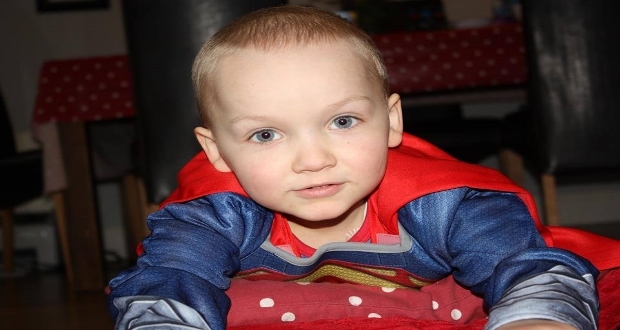 ‘Super’ Gavin was full of life on the show, as his parents explained his situation and he received a pile of goodies, including a superman suit thanks to Mothercare. 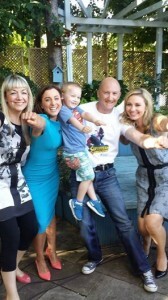 Four-year-old Gavin from Greystones suffers from Rhabdomyosarcoma, which is a rare cancerous tumour of the pelvic muscles. Despite numerous treatments in Ireland, his parents have been told he has only months to live. He’s last chance at survival is surgery in Texas, which will cost €350,000, and his parents are hoping for public support to help raise the money. Speaking on the show, his parents explained that they have launched a ‘selfie’ campaign to help raise the money. Called #myboy, the idea behind the campaign is that you take a picture with the most important boy in your life while donating €4 to his treatment fund. The treatment will take two-months and is only available in Texas.It is called HIPEC and involves open surgery to remove any tumors in Gavin’s pelvis.